Sunsuper is Australia’s fastest-growing top 10 super fund. It looks after more than $58 billion in retirement savings for more than 1.3 million members, supporting almost 100,000 registered employer clients across a diverse range of industries, and working with 2,000 financial advisers across the country. Consistent growth over the past 10 years has meant that the Sunsuper infrastructure needed to evolve to meet customer needs and preferences. Contact center agents were juggling multiple, disparate systems when managing customer enquiries which presented barriers to business performance. Training and onboarding of new staff was lengthy and costly. 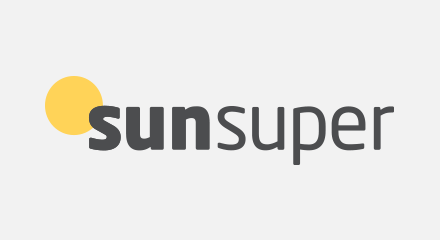 Operating in an increasingly digitized market, Sunsuper needed a solution that was faster and more efficient, enabling better business performance and a seamless customer and user experience. QPC, a partner specializing in contact centers, worked closely with Sunsuper to identify key business objectives as part of an overhaul of CX capabilities. After carefully assessing options in the market, QPC recommended the Genesys PureConnect™ omnichannel contact center solution for its unified approach to managing multichannel customer interactions.